The Drummond EZ Grip Tissue Culture Nosepiece eliminates the possibility of cross-contamination due to over-pipetting. 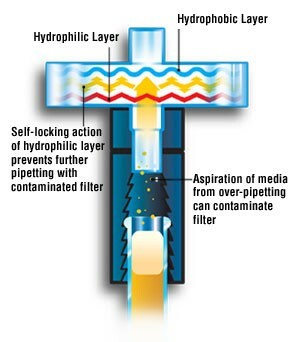 It incorporates a dual hydrophilic 0.8 μm, hydrophobic 0.8 μm filter which prevents further use once contaminated by fluid. This double membrane filter provides a barrier to particles as small as 0.1 μm. 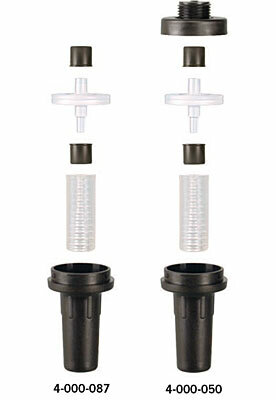 Each kit contains all necessary parts including four filters. Extra filters may be ordered separately.